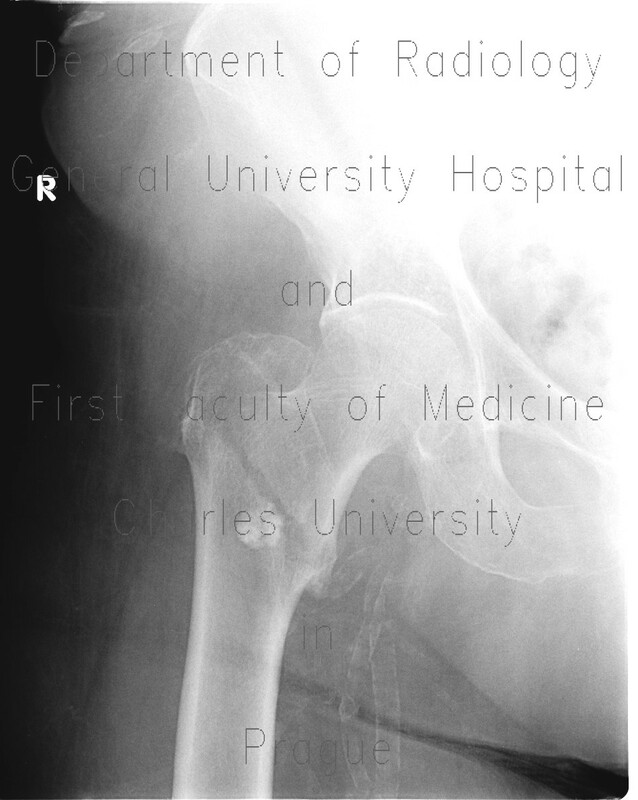 First two images show a pertrochanteric fracture which was then treated with intramedullary hip screw. Later, both proximal dynamic screws migrated and had to be removed. This resulted in minor shift of fragments and non-union - see persisting fracture line with a sclerotic rim.